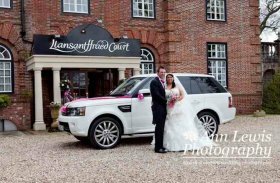 We are always pleased to hear personal car hire stories from our customers, especially when you also send us pictures and memories of your special day. 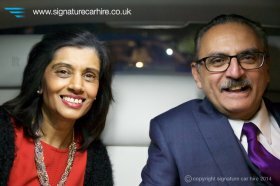 We are delighted to be able to feature testimonials received from some of our many happy customers. 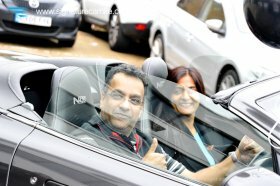 Simply click through to read the full story and gallery of images from their car hire experience. 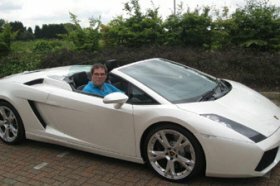 As an Australian adventure company, we specialise in ultimate motoring experiences for our Aussie clients, as well as other clients from around the world. 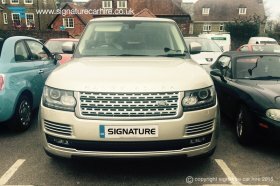 Read the following comments we received from Mike Dean who recently hired our Range Rover Sport 3L SDV6 HSE Dynamic. 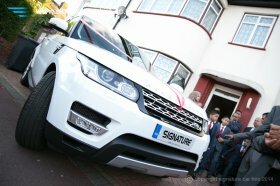 "Car hired was a white Range Rover Sport for our wedding back in April. 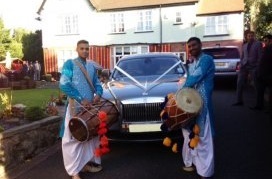 the car was delivered on the 13th April and collected on the 16th..."
Our latest client Simon Johal chose our most popular Wedding Car; our Rolls Royce Ghost which was beautifully dressed with white ribbons. 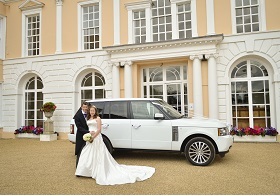 "We had the most perfect day and were thrilled with our car. 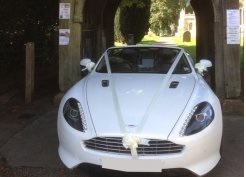 "The car was immaculate and it just added that extra touch to a wonderful wedding. 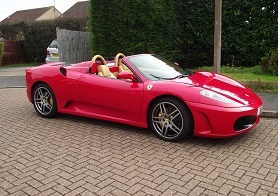 I cannot express my delight with your service and will recommend friends your way." 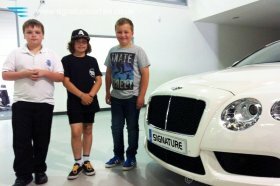 The Signature Experience Centre is very popular with the younger generation. 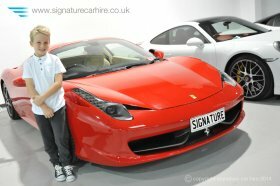 "It's every boys dream to get this close to a supercar." "I just want to say thank you for the best service we could ever have imagined. 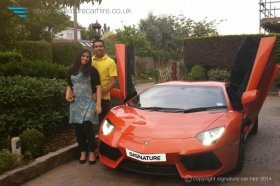 The professionalism shown by all, from helping decide on..."
Signature is so happy for Atish and Beejal. It has been a real pleasure to be part of each special occasion from engagement to wedding and now the new baby announcement. 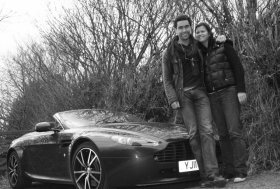 "This was the best rental we had so far - as we were able to drive both cars with our two sons who were able to experience both cars." 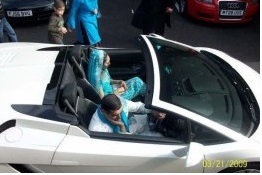 "The wedding was Awesome but the show for EVERYONE was the car as we rumbled in. Thanks again for all your help and support." 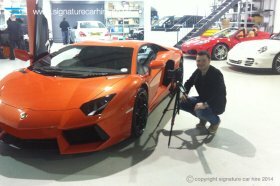 CLIENT SAYS OUR LAMBORGHINI AVENTADOR IS AN ANIMAL! "Outstanding car. I must say it's an animal!" 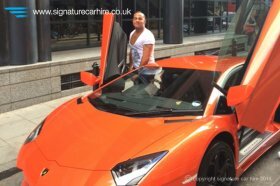 "The car is absolutely stunning, when I was sitting inside the Aventador I felt like I was Bruce Wayne..that I was Batman!" "It's a beautiful surprise, the best surprise! The Aston is the perfect colour, just what I wanted! I want to buy one now!!! It was the best birthday present ever!" It was a real pleasure to welcome Atish and Aarav to our Experience Centre. 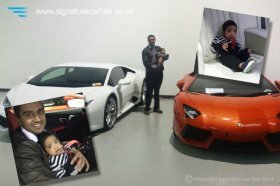 We know what a huge Lamborghini fan Atish is and it looks like Aarav will follow in dad's footsteps. 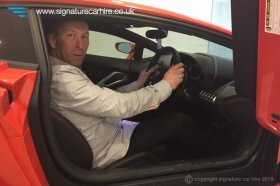 "Lyall was physically shaking with excitement and keen to get his first drive in our new Huracán. 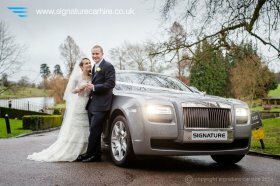 He said after seeing it that he fell in love...."
We would love to hear what you think of our car hire service. Please leave your feedback here. Thanks for leaving your feedback. 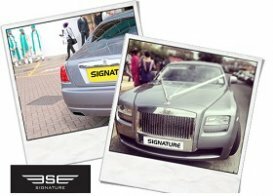 We’ll also sign you up for Signature’s monthly newsletter. "Excellent value for money. My wife had a big smile all weekend.The state of the car was excellent. 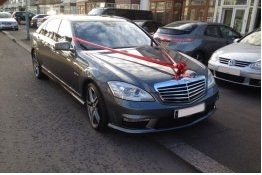 Tim's knowledge was exemplary and Kofi's c/service ..." Mr Tony C.
"A first class service from start to finish. Professional, curteous and prompt. 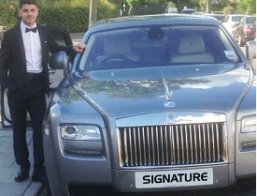 Would not hesitate to use Signature again." D.J. Our staff are experienced and will look after your every need, ensuring your journey is seamless, enjoyable and a first class experience. 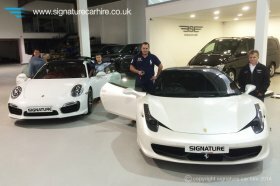 Sit back, relax and enjoy our complimentary water, mints and fresh wipes, all part of the attention to detail we apply to our cars and service. We ensure that all our cars are covered by a self drive hire and reward insurance with road side assistance so you the confidence that you are correctly covered. 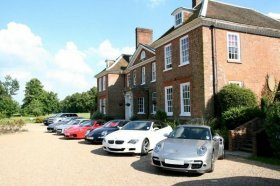 You will be given a dedicated point of contact who is on hand to help you with any enquiry. We will also give you out of office numbers to call just in case you need us.